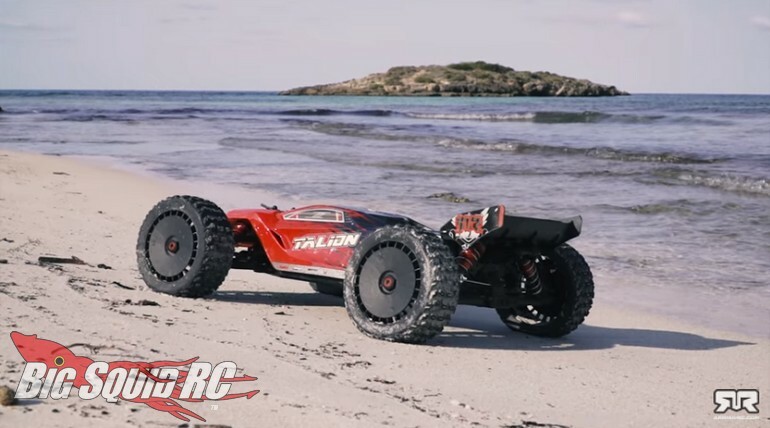 4K Video – ARRMA Talion Beach Attack « Big Squid RC – RC Car and Truck News, Reviews, Videos, and More! Recently posted to the ARRMA YouTube channel is a new video titled Beach Attack. The Beach Attack video is shot in glorious 4K resolution and does a great job of showcasing the abilities of the Talion 6S BLX truggy. In the video below you can watch the 6S powered Talion throwing massive roost, blasting through sand berms, and popping serious wheelies. To get full details on the Talion you can use This Link to jump on over to the ARRMA website. Also, you can Click Here to read all the latest ARRMA news on BigSquidRC.